Allsop Commercial has posted its second largest May sale in ten years after 124 lots were sold at a total of £94.6m. 31 lots were sold for over £1 million, helping to bring the running total for 2017 to over £250 million. The highest value lot was a substantial Barclays Bank in Basingstoke town centre. Let at £200,000 per annum until 2026, it sold for £3.34 million at a net initial yield of 5.62%. Other notable lots on the day included: a residential care home in Newport let to Coverage Care Services Ltd at £215,00 per annum until 2040 (without break), which raised £2.65 million (7.62%); a purpose built Waitrose supermarket with a 136-space car park in Melksham, Wiltshire, which sold for £3.25 million (6.79%); and an office building in Sheffield let at £430,000 per annum and with permitted development consent for 44 apartments, which raised £2.54 million (15.91%). 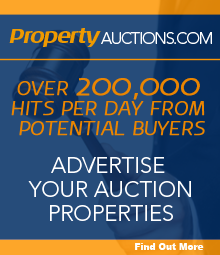 Allsop Commercial’s next auction will take place on Monday 10 July.